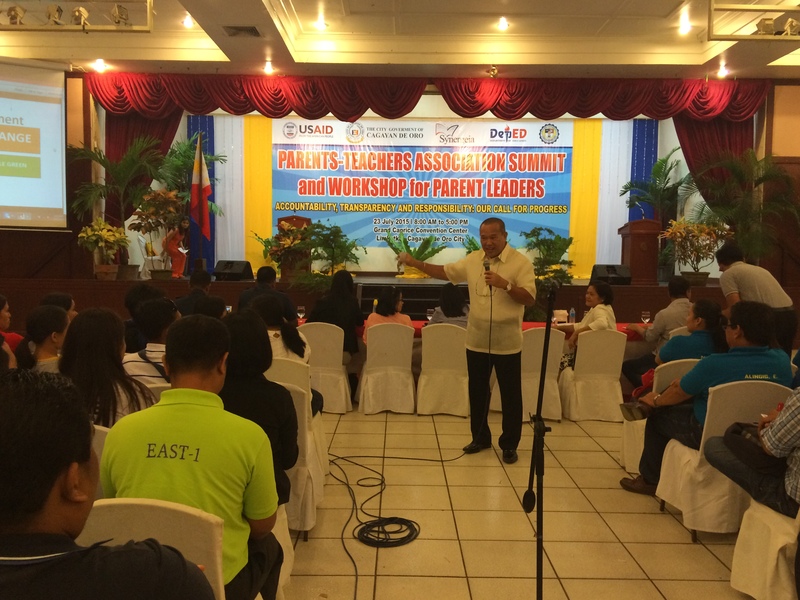 Last July 23, 2015, the first ever Parents-Teachers Association Summit and Workshop for Parent Leaders was held in Grand Caprice, Cagayan de Oro City. 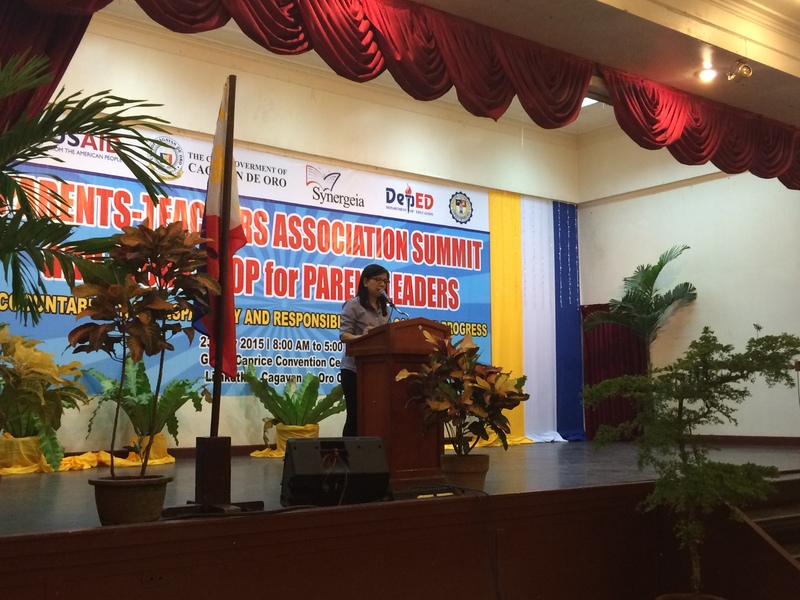 MLAC Institute for Psychosocial Services, as represented by Rachel Ann Rosales-Parr and Jaymee Leonen, were invited to give a talk and answer some questions on how to raise children in the current times. 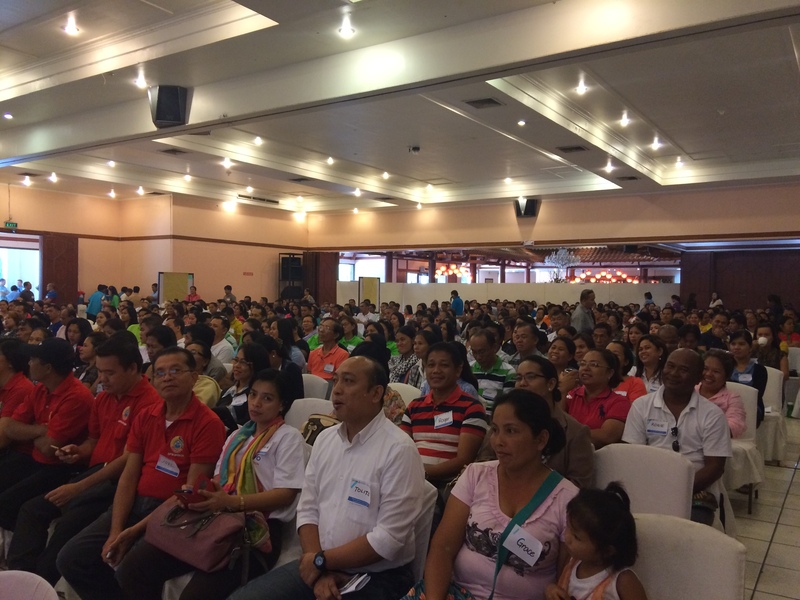 Some 520 public school teachers and parent and community leaders from all over Cagayan de Oro came to the event. 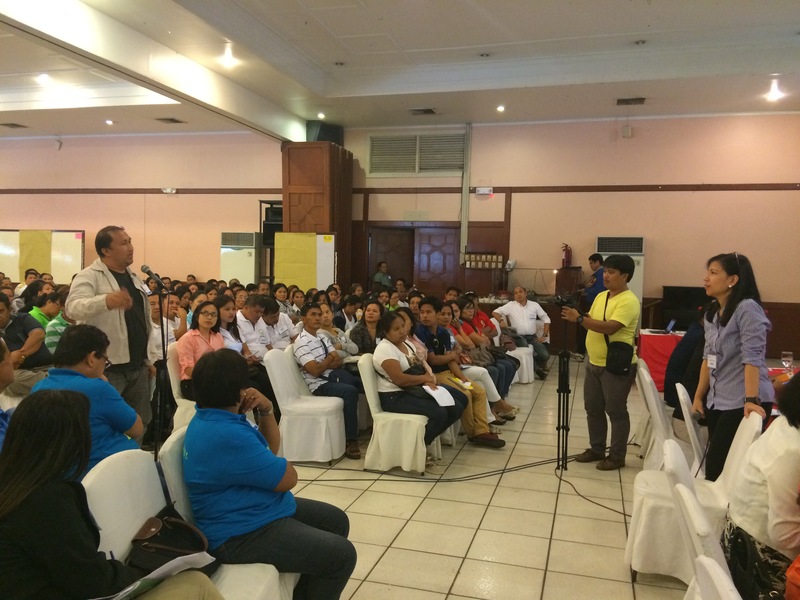 Cagayan de Oro City Mayor Oscar Moreno was also in the event. He shared his mission to uphold education. Rachel gave a talk entitled “Disciplining with Mindfulness, Love, and Compassion”. She discussed how the changing society impacts the dynamics of families. She also talked about the importance of Positive Discipline and the difference it makes on the child when parents discipline with love and care. She ended her talk with the sharing of the 7 C’s of Discipline of Dr. Ma. Lourdes A. Carandang. This was followed by an open forum facilitated by Jaymee. 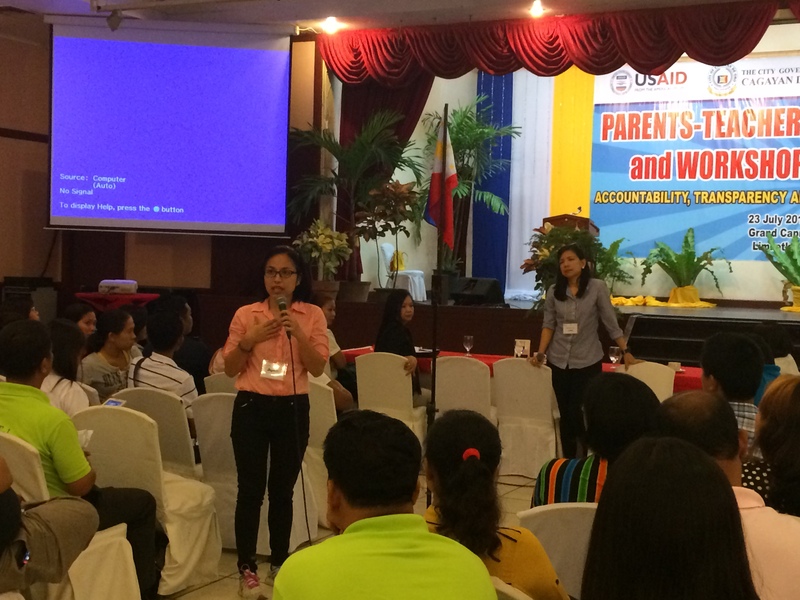 Parents were given an opportunity to ask about their own concerns on parenting. We are very thankful for this opportunity to be a part of such a big event with a wonderful cause. 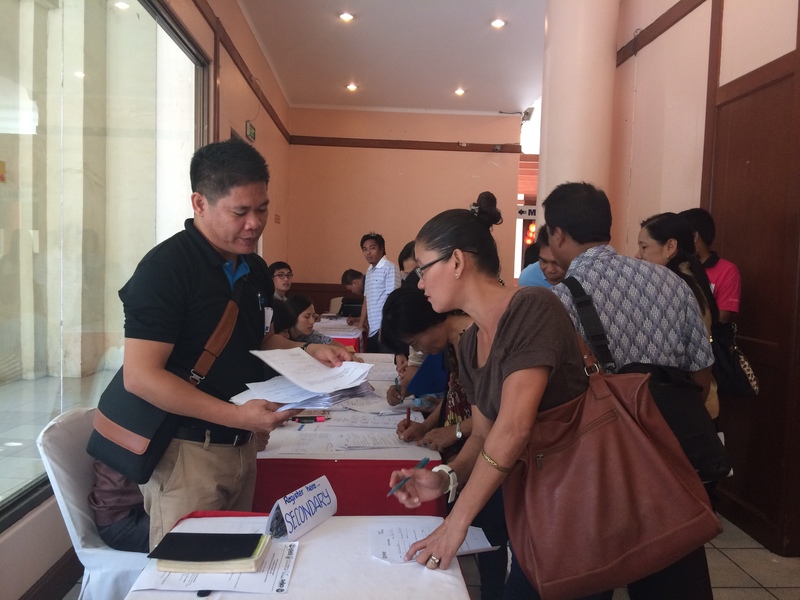 Many thanks to Synergeia Foundation who invited us to be the speakers for this event, and to Ms. Margot Manalac who provided us the pictures in this article.